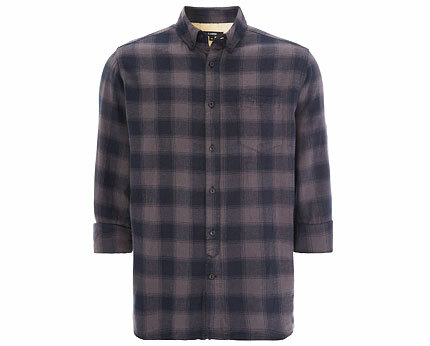 This checked shirt by George at Asda is real statement look this season, check shirts are everywhere right now and at this amazing price, this one should not be missed! The design features trendy roll up sleeves that allow this garment to be versatile in creating different looks from smart casual to trendy and hip. 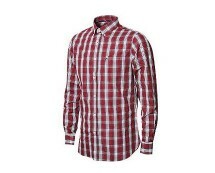 The shirt will last you through the seasons and can be worn during summer as well as winter. 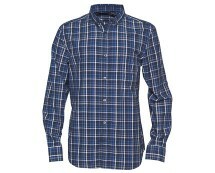 The colour is a lovely soft navy and grey checked that will go with absolutely anything. The detail features a chest pocket and button up front with collar buttons. 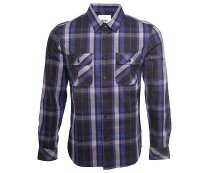 To style this shirt team with jeans or chinos and flat pumps for a casual day look. Trend it up by buttoning right up to the collar, rolling chinos at the hem and popping on a pair of boat or dessert shoes. For a street look team with drop crotch denims and leave open with a crisp white tea-shirt underneath then pop on a pair of high tops and you will look super cool as a cucumber!